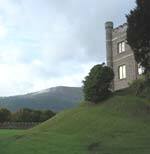 Nestled between seven hills close to the Welsh/English border, Abergavenny truly is a 'Gateway To Wales'. An ideal base for exploring the Brecon Beacons, Abergavenny has much to offer tourists - a blend of old and new, with activities and things to do to suit young and old alike. A visit to Abergavenny can really feel like a break away from it all - you can almost feel time slowing down as you unwind and take in the fresh mountain air and beautiful scenery of the Usk valley. The Kings Head Hotel Check out this popular hotel, then check in! Live temperatures Is it warm out? Check the current temperature here. Blorenge Cam New - take a closer look!. Online accommodation booking for hotels, guesthouses and cottages. Looking for local attractions? Try the places to visit section for some ideas.